The Proteas started 2017 in much the same way as they finished it with a thumping, 282-run test match victory against Sri Lanka in the New Year test at Newlands. It was even more comprehensive at the end of the year as Zimbabwe were flogged by an innings and 120 runs in the inaugural four-day, day-night Boxing Day test match at St.George’s Park. Sri Lanka’s endured an appalling tour of South Africa in January and February as they went down by an innings and 118 runs at the Wanderers to lose the test series 3-0 before being whitewashed 5-0 in the ODIs. The most memorable performance was Hashim Amla’s 154 from 134 balls which contained five sixes. The five match ODI series in New Zealand was a humdinger which was decided in the Proteas’ favour in front of 30 000 people in the electric atmosphere of Eden Park in Auckland. But the home side might well have won it before the final game had Andile Phehlukwayo not produced a dazzling cameo in a rain affected game in Christchurch. Chasing 207 in 34 overs the Proteas not only slipped to 126-5 but had allowed the asking rate to climb to almost 10 an over when Phehlukwayo struck a pair of fours and sixes in the closing overs to win the match with an unbeaten 29 from 23 balls. The decider was effectively decided before halfway with Imran Tahir’s remarkable 2-14 from 10 overs helping dismiss the Black Caps for just 149 before Faf du Plessis (51*) wrapped up the series. After an evenly matched draw in the first test in Dunedin, the Proteas bowled New Zealand out for 268 in Wellington before plunging to 94-6 in reply. But Temba Bavuma (89) and Qunton de Kock (91) added 160 in a little over a session, Vernon Philander added 37 and Morne Morkel broke the Black Caps’ spirits with 40 from number 11. Keshav Maharaj then took 6-40 in the second innings and the Proteas won by 8-wickets to go 1-0 up. In the third test the Proteas were 80-5 in their second innings in Hamilton, still 95 runs away from making the home side bat again after conceding a monster 175-run first innings deficit. Then it rained, and rained, like only it can in New Zealand. The tour of England lasted 11 weeks and produced very little good news. One of their most clinical performances in recent test history saw them level the test series with 340-run thumping at Trent Bridge but two equally inept performances in the third and fourth test saw them go down by 239 and 177 runs at The Oval and Old Trafford to concede the series 3-1. In the Champions Trophy South Africa were 140-2 in their must-win group match against India, although a little behind par on a typically good batting wicket at The Oval. Then du Plessis ran out AB and David Miller ran himself out, sprinting for the same crease as Faf, an image to add to the catalogue of embarrassing disasters at ICC global events. They crashed to 142-4, defeat by eight wickets and another premature departure. The three match ODI series against England which preceded the tournament was conceded in numbing fashion during the second game in Southampton when David Miller (71*) and Chris Morris (36*), having done brilliantly to drag their team back into the game, failed to score 10 runs from the final 10 balls in pursuit of 330. Consolation came in the third game at Lord’s where Kagiso Rabada (4-39) and Wayne Parnell reduced the home side to a comical 20-6 effectively giving the Proteas victory before many of the crowd had taken their seats – or even arrived. AB de Villiers turned it on against the Bangladeshis in the Paarl ODI with 176 from just 104 balls giving us (and himself) brief hope we might witness the first South African one-day double century. De Kock and Amla added a world record to their collection with an opening partnership of 282 for a ten-wicket victory in Kimberley. But it was outshone by Miller’s extraordinary 35-ball century in the T20I at Senwes Park where the left-hander hit seamer Mohammad Saiffudin for five consecutive sixes as he moved from 57 to 101* in the last two overs of the innings. Then came the day-night test against Zim. Some who blinked may have missed it. 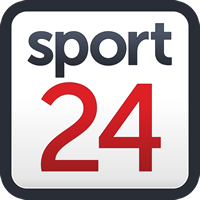 Aiden Markram was man-of-the-match for his 125 but Morne Morkel (5-21) and Keshav Maharaj (5-59) were responsible for the visitors batting only 72.4 overs in two innings as the Proteas won by an innings and 120 runs in a total of 907 balls in under five sessions, the second quickest test match in the last 50 years. The Proteas’ year may also be remembered for what happened off the field as on it. Old-timers may shudder at the thought, but times have changed. Faf du Plessis turned down the chance to lead his team out for a test match at Lord’s to attend the birth of his first child and AB de Villiers gave up the whole series to be at home with his two toddlers, and they were better people for doing so.